RepRap has unveiled their fourth-generation X 400 v4 3D printer this month which comes equipped with a wealth of new features which has been specifically designed for larger object fabrication, and low-volume production of industrial parts. 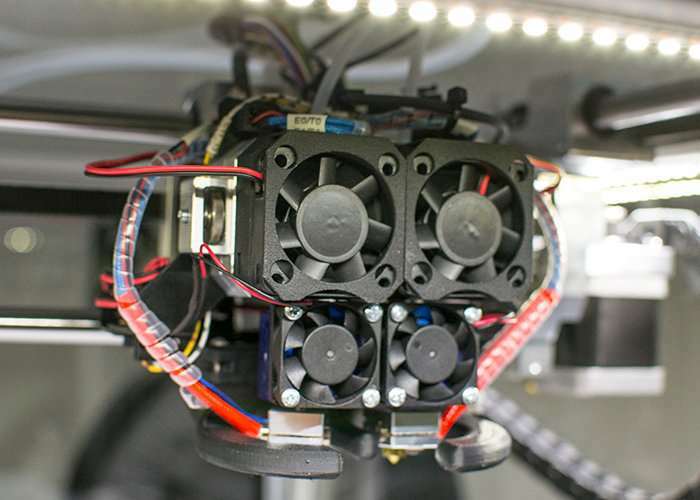 The user-friendly DD3 dual extruder technology with a full metal hot end tops off the printer’s features,” explains the German RepRap team in a press release for the new 3D printer. “The extruder can be fitted with different nozzles to adjust for various applications and materials to be used. Contact pressure is variable, as well, to facilitate the processing of softer materials.